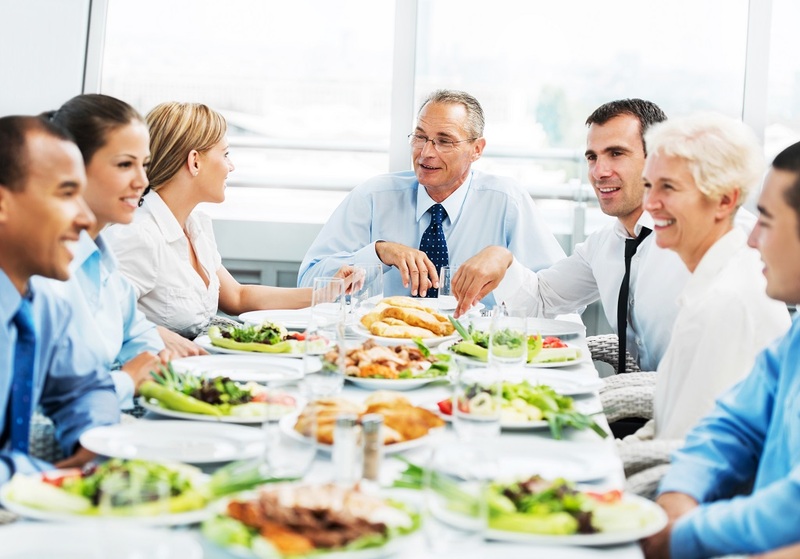 Group of successful businesspeople sitting and eating. They are on a lunch break. Focus is on the mature businessman.